Tired of dark days and looking for something fun to do with your children or grandchildren during February vacation? 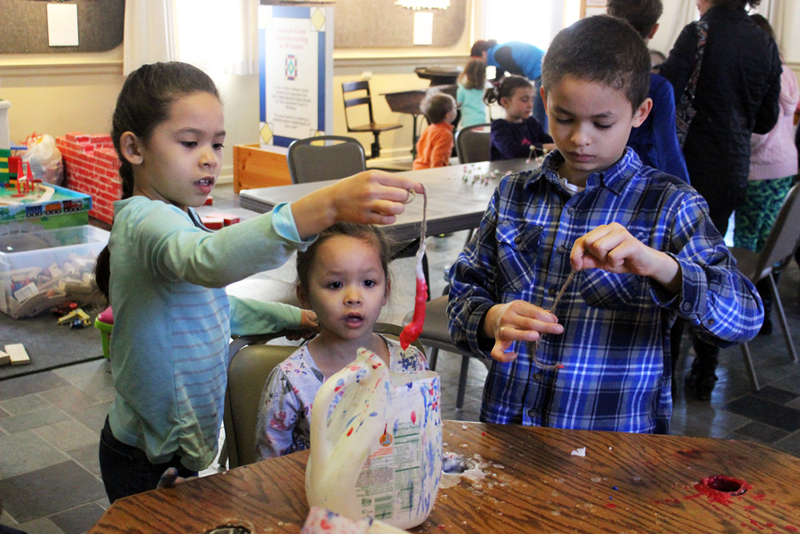 On Monday, February 18th 2019 from 10 a.m. to 4 p.m., join us at the Windsor Historical Society’s Hands-On-History Learning Center and make your very own hand-dipped paraffin candle to take home. Different colors for dipping make each candle unique. The Hands-On-History Learning Center, where children can try on reproduction colonial clothing, try out a child-sized rope bed, or “milk” Flavia the cow, can be enjoyed at the same time. Also on view in the Learning Center is the exhibit Christopher Miner Spencer: An Inventive Mind. When you’re finished candle-dipping and are looking for another fun family activity, color some colonial coloring book pages, explore calligraphy, or craft your own three-dimensional art with toothpicks and marshmallows. Scavenger hunts are also available for the Windsor history museum galleries – make sure to get your postcard after completing them! Cost for this program is $12 per family; or $6 per adult, $5 for seniors, $4 for children, and $3 for members. A parent or guardian must accompany their children. Snow date for this program is 2/19. You may sign up online at www.windsorhistoricalsociety.org or just pay at the door. Candles are largely decorative today but have been used as a light source for thousands of years. The ancient Egyptians and Romans used candles. In the middle ages, tallow (fat from cows and sheep) was saved and used for candles which were smoky and smelly. Chandlers or candle –makers would go from household to household, trading for tallow to make their candles. Beeswax was also used in the middle ages to make a candle which burned brightly and with a sweet scent, but it was rare and expensive. In the late 18th century, clean-burning whale oil candles began to replace the old-fashioned and smoky tallow candles and in the 1850’s, paraffin, a by-product of petroleum, became the candle-making material of choice. Very soon, the kerosene lamp and the light bulb (invented in 1879) would begin to put candles out of business. By making a candle the old fashioned way, you’ll be participating in a time-honored tradition.